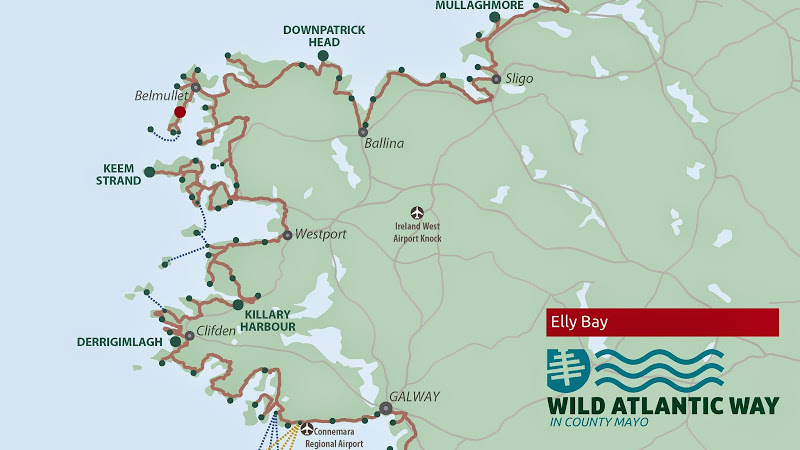 Elly Bay, near Belmullet town, is located on the Mullett Peninsula, an area of great scenic beauty and tranquillity in North West Mayo. It is a fine sandy Blue Flag Beach. The whole bay is of international ecological importance because of the diverse habitat types to be found in the area. The bay is also internationally important for birdlife. The beautiful Blacksod Point is close to Elly Bay. 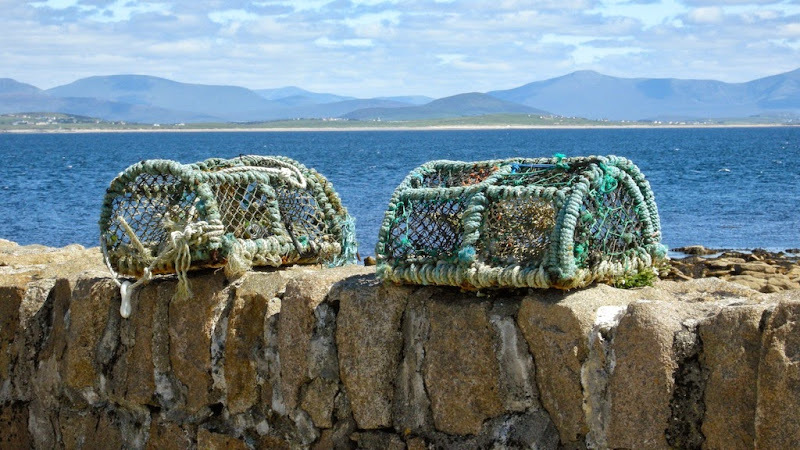 The nearby Blacksod Bay is unique in Ireland because all four species of mammals live here: common and grey seals, bottle nosed dolphin and harbour porpoise.